Donor retention is key to a sustainable base of individual giving. What drives customers to stay, and what affects their behavior? This paper outlines the actions nonprofits can take to improve donor loyalty. 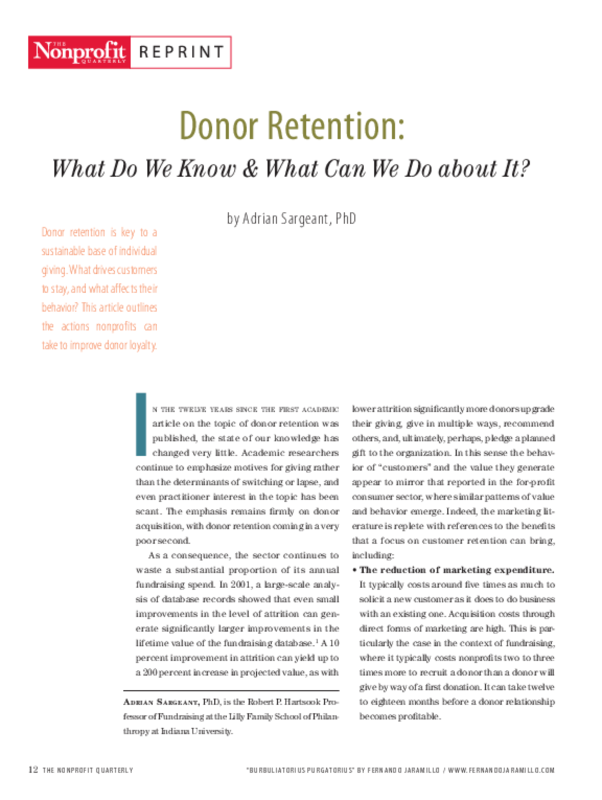 Title: Donor Retention: What Do We Know & What Can We Do About It?